Loch Rannoch is a loch in Perthshire around 20 miles (32 km) west of Pitlochry. The loch stretches 10 miles (16 km) from Kinloch Rannoch to Bridge of Gaur in the west and has a recorded depth of 440 ft. Loch Rannoch lies on the traditional main route north to the west coast of Scotland, known famously as the Road to the Isles. However, major road construction in the 19th century has bypassed it leaving the area unspoiled and unchanged. The village of Kinloch Rannoch is a good place from which to start exploring the Clan Trail. A series of interesting story boards have been placed at accessible points around the loch shore that tell the fascinating tales of clans prominent in the district before the 19th and 20th centuries. There is also a Crannog (artificial island) near the far west of the loch which was used in the 18th century as a base for outlawed members of the MacGregor Clan. The 22 mile (35 km) road circuit around the loch is perfect for cycling as it’s completely flat and relatively traffic free. Sandy beaches on the north shore are an ideal excuse for a rest or picnic and offer breathtaking views. 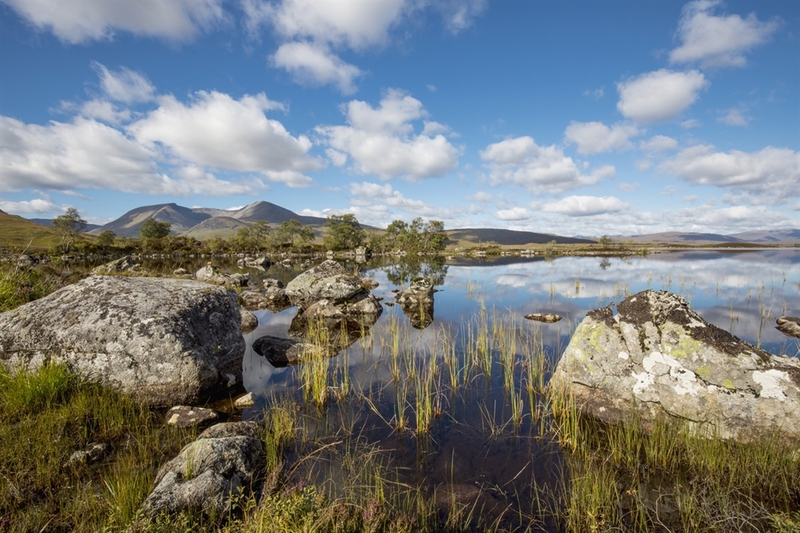 The surrounding Rannoch area offers excellent walking, from woodland paths in Rannoch Forest and quiet loch side rambles to the dramatic wild peaks and cross country routes of the Great Moor of Rannoch. Getting there by railway:- The closest rail station is Rannoch Station located about 15 miles/ 24 km from Kinloch Rannoch. Rail stations are also located at Pitlochry and Blair Atholl. Getting there by aeroplane:- From Glasgow or Edinburgh airports follow the A9 north past Pitlochry to its junction with the B8019. Follow the B8019 west to the village of Kinloch Rannoch and Loch Rannoch beyond. Getting there by ferry:- From the port of Rosyth follow the M90 to Perth and then the A9 north to Pitlochry. Continue on the A9 north of Pitlochry until reaching the junction with the B8019. 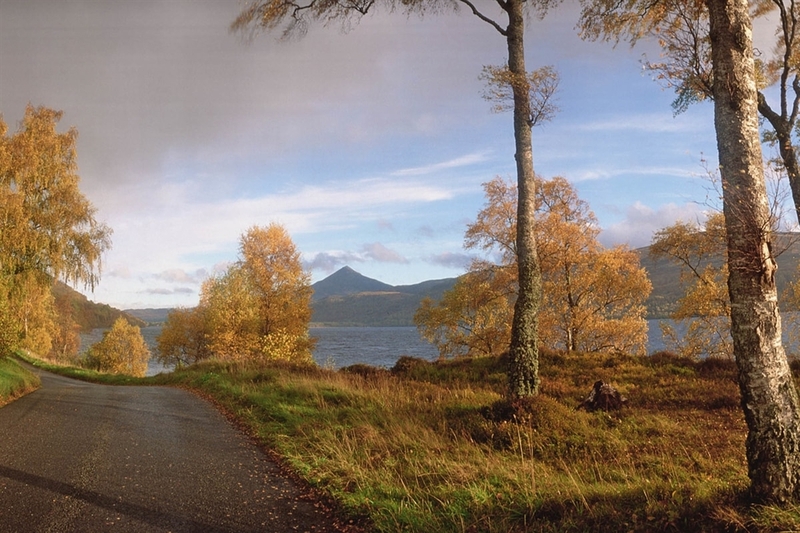 Follow the B8019 west to the village of Kinloch Rannoch and Loch Rannoch beyond.